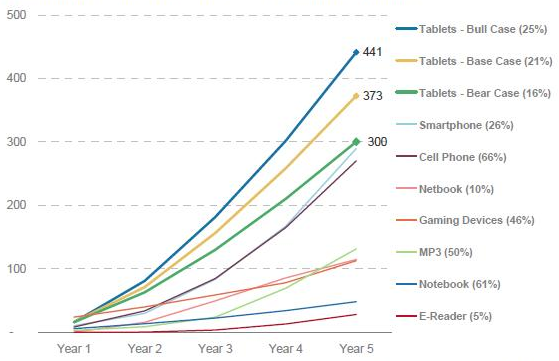 100 million tablets by end of 2011: What will it mean for learning? “Bull,” “Base,” and “Bear” represent different possible rates of growth. Even conservative estimates (“Bear”) are explosive. This is relevant for education because it means that tablets are here to stay. Lightweight tablets, controlled by fingertips, are how visitors and students want to consume and access information. Mr. Speirs will be presenting his observations on the iPad later this week, at the “Macworld Mobile iOS Developer Conference” in Barcelona, Spain, and he also discusses these topics on his blog. Larry Johnson, CEO of The New Media Consortium who recently published a reporton trends in higher education (see our blog post, “Mobile and eBooks big deal for higher ed in 2011“), said that technologies like mobiles are “indeed mainstream — in the world as a whole — but they are far from mainstream in education. Mobiles, for example, are banned from virtually every high school, and most university classes do not yet take advantage of their capability.” That’s going to change rapidly. Fundamentally, tablet computing represents the natural evolution of computing from a graphical, keyboard, and mouse user interface to a touch user interface. A tablet is ultra-mobile and “always connected,” and the significant amount of applications and content designed for these devices increases functionality well beyond netbooks and traditional PCs. As a result, we expect the tablet adoption curve to ramp faster than any other mobile device in history. [The Morgan Stanley team] did multiple surveys that they say canvased 8,000 consumers and 50 corporate CIOs. The findings show, they write, that tablets are set to be taken up by two thirds of corporations in 2011, either through direct purchase or allowing employees to take up the machines personally within the firewall. And the writers were “surprised,” they note, by what the data said about International demand: “While consensus views the tablet market as largely a U.S. consumer phenomenon, the international consumer survey data surprised us.” Demand in major developed economies, phrased in the survey as “extreme interest in purchasing a tablet in the next 12 months, was higher than in the U.S., with only 11% of U.S. respondents surveyed saying yes, but 15% in France, 16% in Japan, 18% in Germany, 20% in the U.K., and a whopping 41% in China. And the overall international demand was 21%. * Note on the graph. The graph comes from Morgan Stanley. Percentages represent current penetration rates for each device. Figures for bull, base, and bear case forecasts represent penetration rate in year five. For notebook, cell phones, and gaming devices, shipments are in early years of product history. Source: Morgan Stanley Research, Gartner, IDC, company reports. 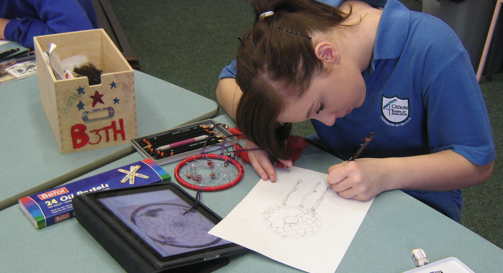 One comment on 100 million tablets by end of 2011: What will it mean for learning? 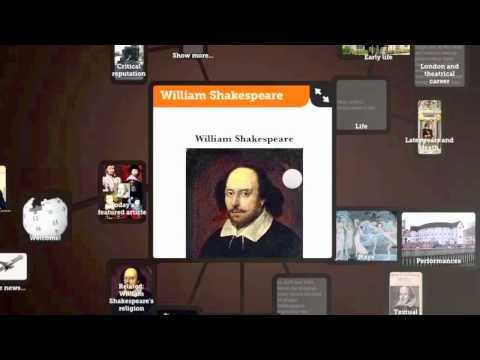 Are public supported (crowdfunded) virtual exhibits possible?